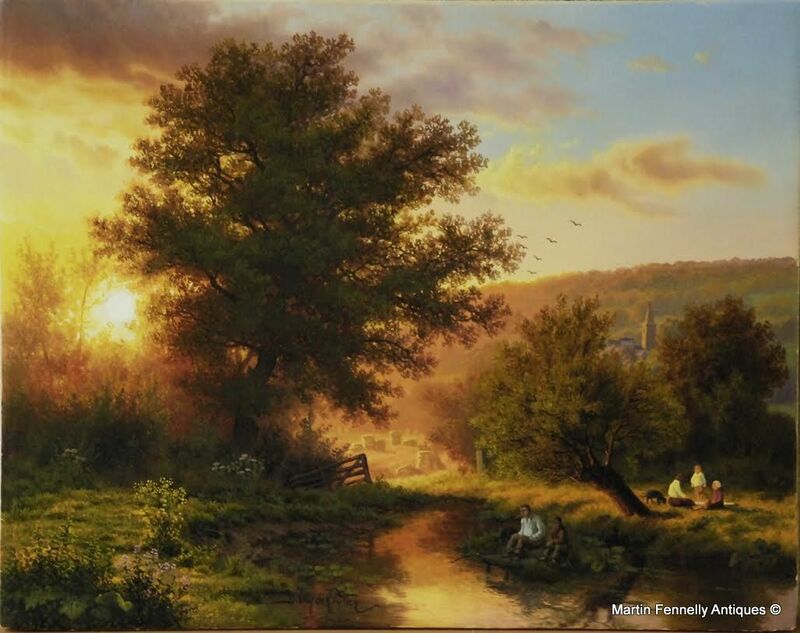 This Painting by Daniel Van der Putten is a wonderful serene English scene. Van der Putten is Dutch born but resides and paints in the UK. Exhibited only in the finest Galleries, it is a great honour to have a Van Der Putten in my Gallery. This Painting "Sunsetting on Newnham" (Northamptonshire in the UK) shows how Van der Putten's majestic brush work captures with consummate finesse the late evening ambience of a Summer's evening in the stunning English Contryside.